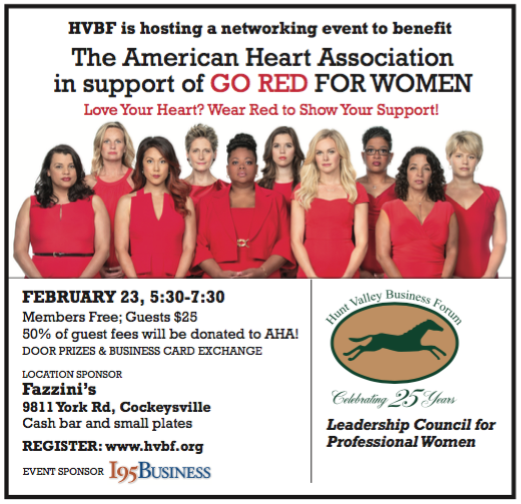 HVBF is hosting a networking event to benefit The American Heart Association in support of GO RED for Women. Love your Heart? Wear Red to Show your Support! 50% of guest fees will be donated to AHA! There will be Door Prizes & Business Card Exchange.